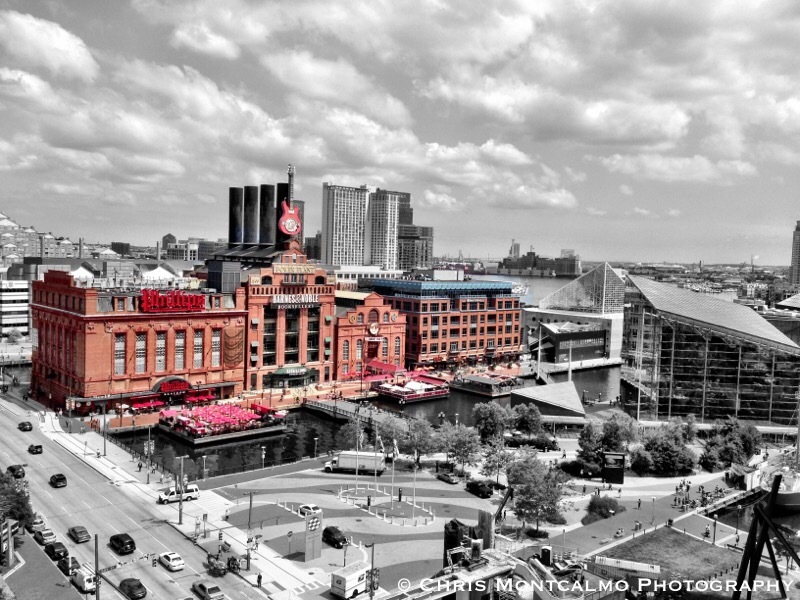 One of the most unique structures in downtown Baltimore, the Power Plant has a lot of history behind it. The structure is a 132-by-326-foot complex of three buildings located at Pratt Street and Pier 4 at Baltimore’s Inner Harbor. The structures are brick with terra cotta trim and steel frame construction. It was built between 1900 and 1909 and is a massive industrial structure with Neo-Classical detailing designed by the noted architectural firm of Baldwin & Pennington. It was one of only 11 buildings in the zone of the Baltimore Fire of 1904 to survive that event. It served as the main source of power for the United Railways and Electric Company, a consolidation of smaller street railway systems, that influenced the provision of city-wide transportation and opened up suburban areas of Baltimore to power its electric street railway in the city. It later served as a central steam plant for the Consolidated Gas, Electric Light and Power Company, a predecessor of the Baltimore Gas and Electric Company. The plant, with by-then obsolete equipment, was used sparingly until it was returned to service to meet the World War II production demand for electricity. Baltimore Gas and Electric finally ceased use of it in 1973. These days, the Power Plant houses a Barnes and Noble, a Phillips Seafood Restaurant, the Hard Rock Cafe, and more.